Eureka Springs is the Spot for Your Intimate Destination Wedding. Wedding ceremonies of all shapes and sizes are special in their own way. Even a small wedding can leave a big impression, if it is handled with care and attention to detail. No matter what the budget, when it’s all over, it’s all about the two most important guests of honor. Eureka Springs, Arkansas has been enchanting visitors for over 100 years with it’s Victorian charm. Nestled in the heart of the Ozark mountains, Eureka Springs is the perfect spot for your intimate, destination wedding, ideal for the bride who is looking for a beautiful, stress-free wedding day. Perfect for late fall, winter and early spring weddings, The Parlor at the Inn at Rose Hall will bring magic and romance to your intimate ceremony. Fit for a princess, you will walk down our elegant mansion stairs into the romantic, candlelit parlor. These ceremonies are guaranteed to be both beautiful and unique. The Parlor is a gorgeous intimate setting for your Eureka Springs wedding. Wedding ceremonies take place in front of the fireplace in the Parlor, where the late afternoon light creates a soft glow around the bridal couple. It is a perfect location for a Unity Ceremony or Sand Ceremony. Ideal for late fall, winter and early spring weddings. An outdoor wedding at the 1886 Crescent Hotel & Spa is sure to be a crowd-pleaser. This is the epitome of Eureka Springs charm. Sitting on 15 acres of land atop the Ozark Mountains, the pristine landscaping offers a breathtaking view and provides the perfect backdrop for a beautiful wedding and reception. The beautiful, newly renovated Grand Hall provides the perfect setting for your grand wedding. Located in Eureka’s unique underground, the 125 year old rock walls bring character and intrigue to this historic venue. Exposed in the Grand Hall is a century-old window that provides a sneak-peek into Eureka’s famous and notorious underground tunnels, said to have once been used as escape route by infamous gangster, Al Capone. This versatile room seats 25 to 100 guests for your special function. 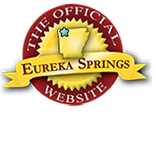 Besides offering the best venues in the country for your wedding ceremony, Eureka Springs also provides the ideal setting for a perfect honeymoon. Ride side-by-side with your love and take in the beautiful surrounding nature at Bear Mountain Stables, then relax and rejuvenate with a couple’s massage at the New Moon Spa, before heading to a fabulous dinner at Devito’s Itialian Restaurant. 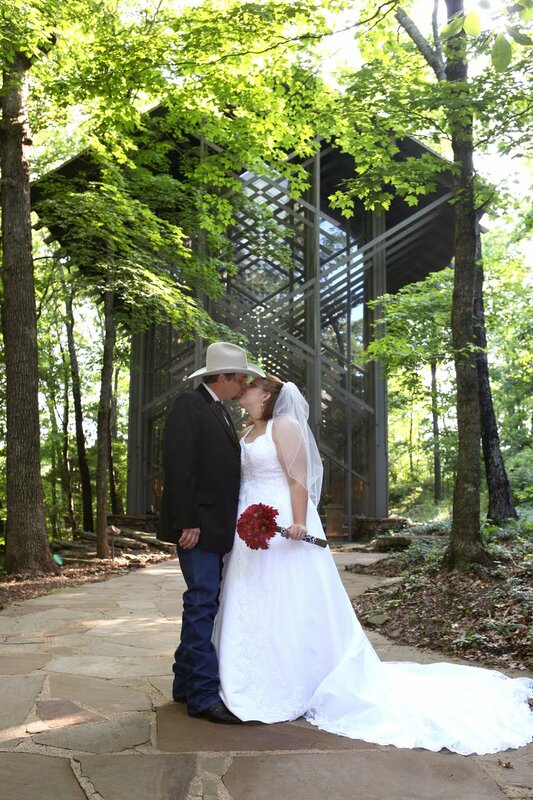 Come experience true romance and let Eureka Springs be your wedding destination! This entry was posted on March 4, 2015 by estcblog in Crescent Hotel, New Moon Spa, Wedding Capital of the South and tagged ceremony, destination, Eureka Springs, fairy tale, garden, intimate, package, specialist, victorian, wedding.